Mexican Terracotta Tiles Deep Cleaned in York. 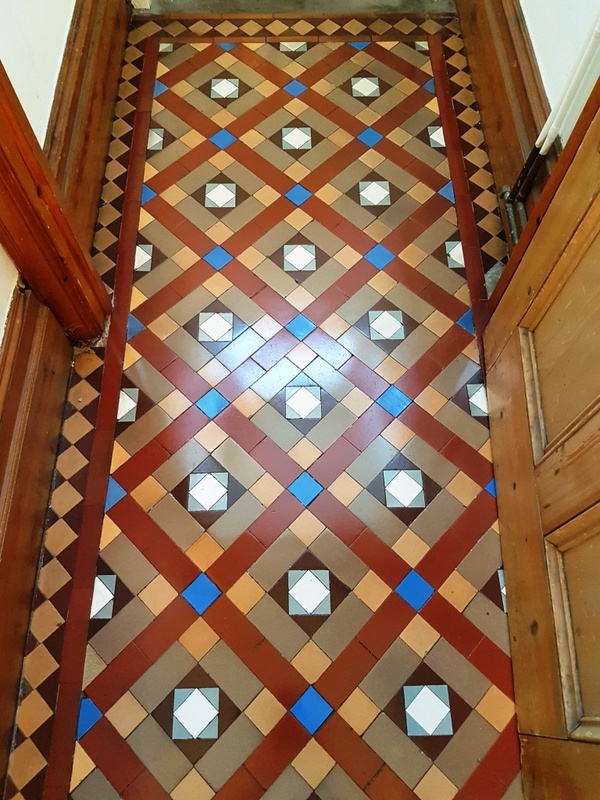 The second floor was a Victorian tiled hallway which like its neighbour was dull, lifeless and now overdue a deep clean to remove ingrained dirt, part worn sealer and then reseal. As with the Terracotta tiles I cleaned the floor using a strong 1:3 dilution of Tile Doctor Pro-Clean with water. 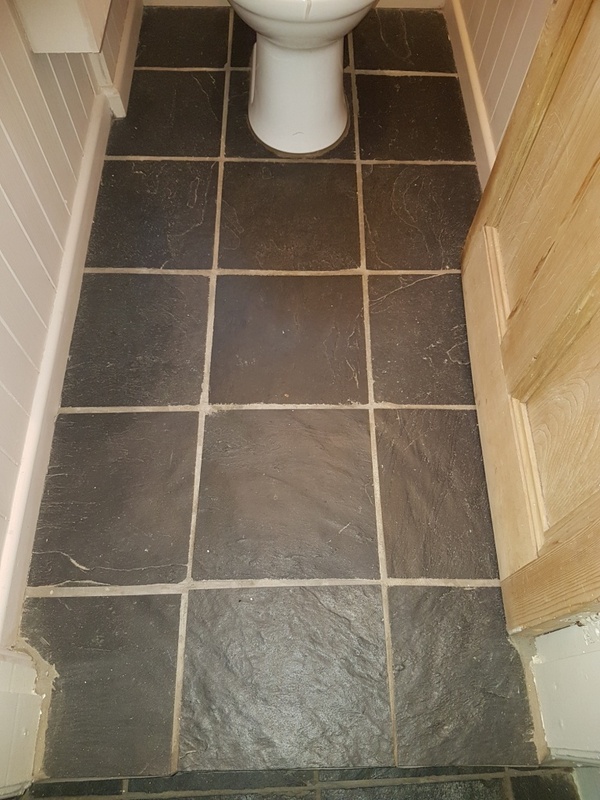 This is a strong dilution ratio which will not only clean the tile but also strip off what was left of the original sealer. 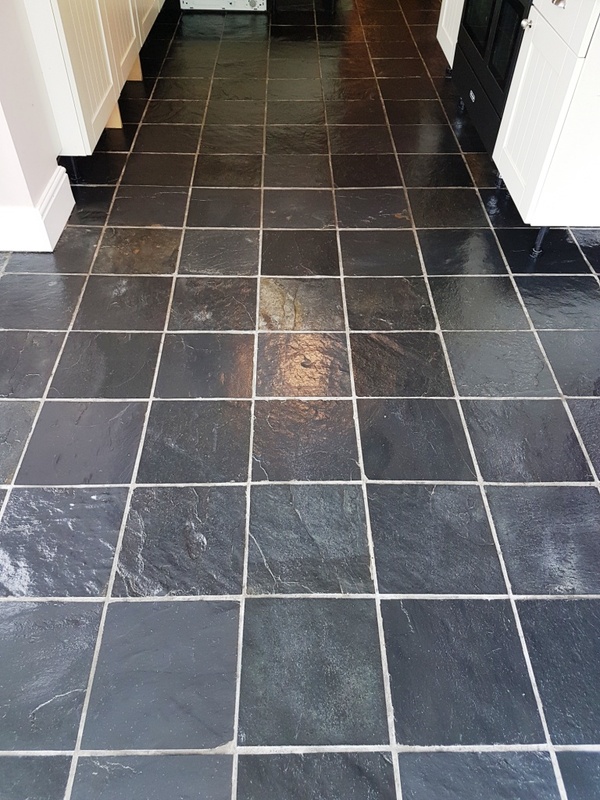 You need to do this as the sealer will wear off first in the most commonly used part of the floor first which in this case is down the middle of the hallway. I left the solution it to soak into the tile for about ten minutes before scrubbing it in with a black scrubbing pad fitted to a rotary floor machine. I the scrubbed along the grout lines with more pro-clean and a stiff narrow brush by hand to ensure the grout was also clean. The floor was rinsed with water and the soiled cleaning solution was extracted using a wet vacuum. 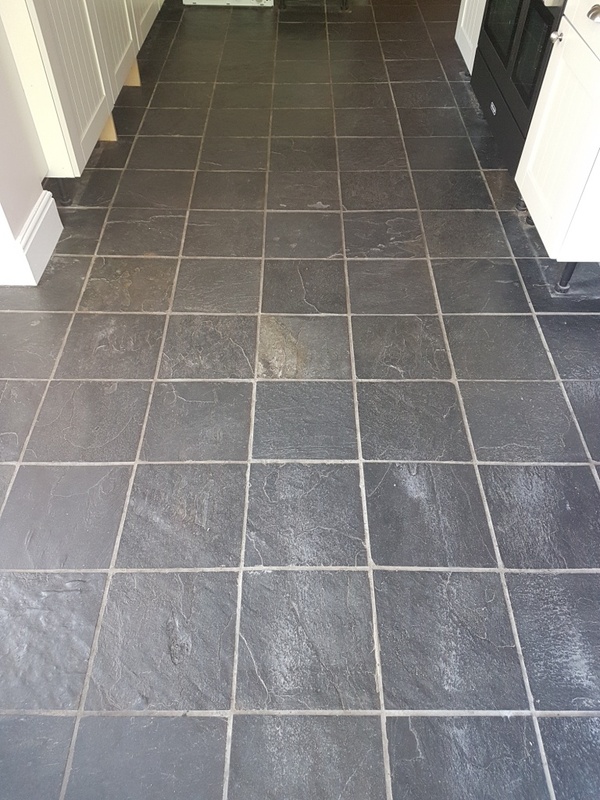 I could then see those area’s that needed more work and re-treated them with more Pro-Clean until I was satisfied all the previous sealer was gone and the tile and grout was as clean as it could be. The tiles were given a final rinse with water and the wet vacuum used again to extract as much moisture off the floor as possible. The next step would be to seal, however the Terracotta floor tiles needed a longer drying time so I left both floors to dry out for two days before returning. Upon my return to the property I ran some quick damp tests, which revealed the tiles were ready to be sealed. 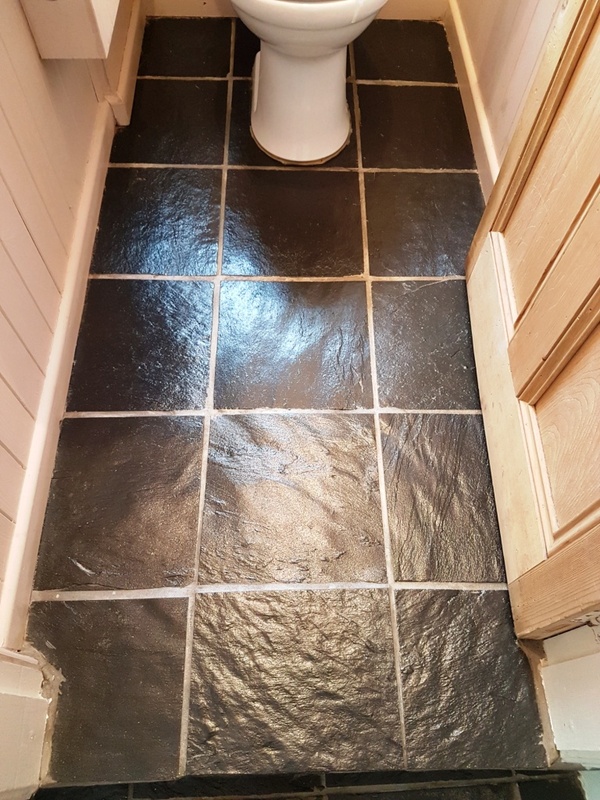 I then applied four coats of Tile Doctor Seal and Go which provided a beautiful satin finish that really improved the look of Victorian Tile. 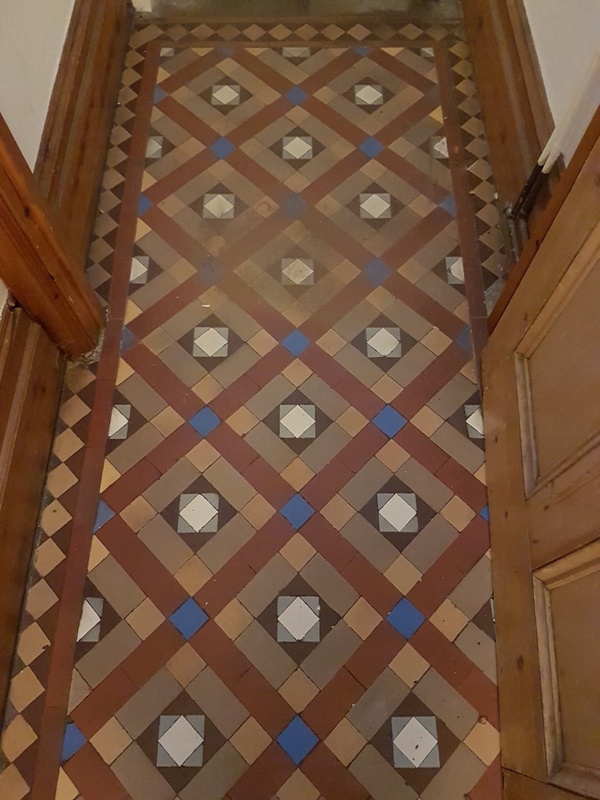 The hallway tiles now looked clean and much brigher, needless to say my customer was very happy with the transformation.